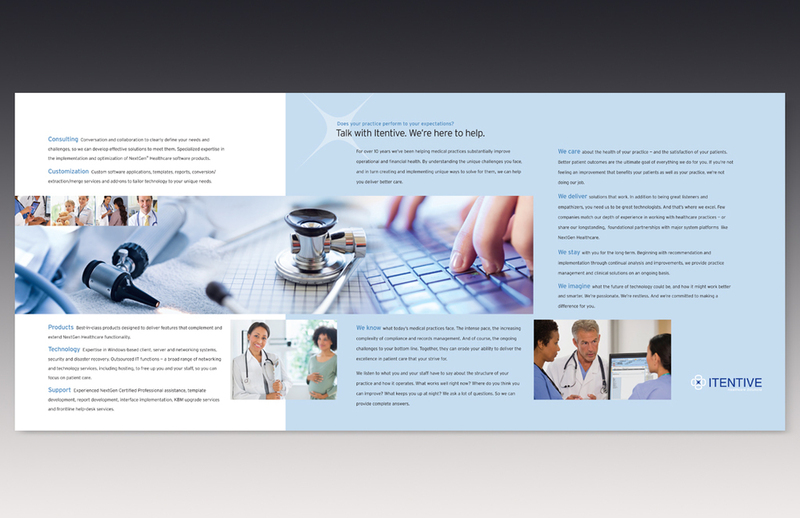 Capabilities brochure for Itentive Healthcare Solutions. Itentive Healthcare Solutions helps healthcare practices better leverage people, processes and technology—including NextGen® implementation/optimization—to operate more effectively and deliver better care. Our approach was a “human”, friendly story. When a healthcare practice performs efficiently, the doctors can focus on their patients and provide better care rather than focusing on any dis-functionality in their records management.